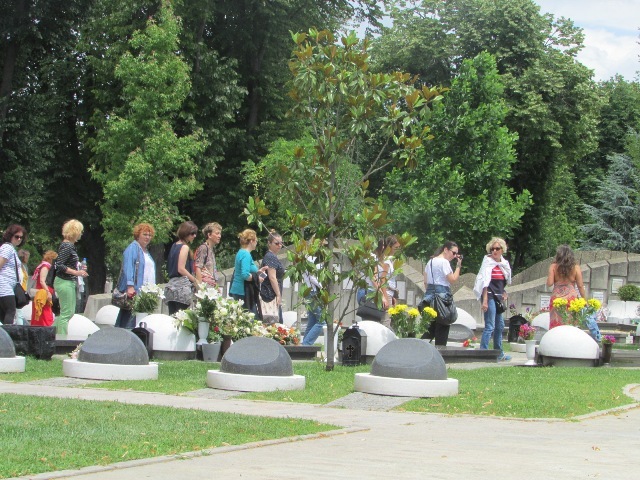 The precious heritage of the New Cemetery in Belgrade caught the attention of an independent non-governmental organization for research of the history, theory and management of art in Serbia called ARTIS Center. 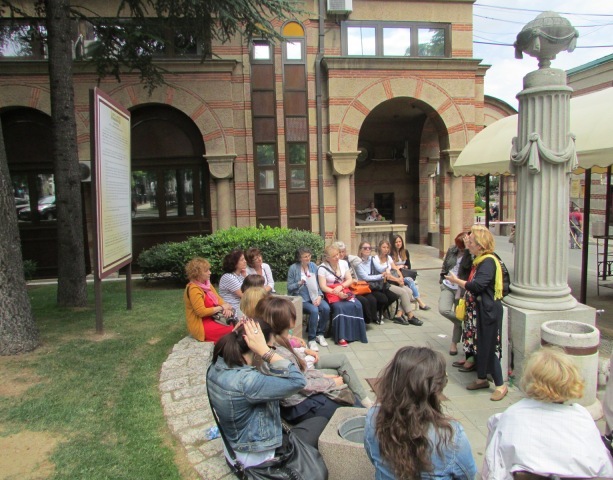 It has been seven years since this organization conducts research and education programs, as well as study trips and projects recognized and supported by the ICOM. 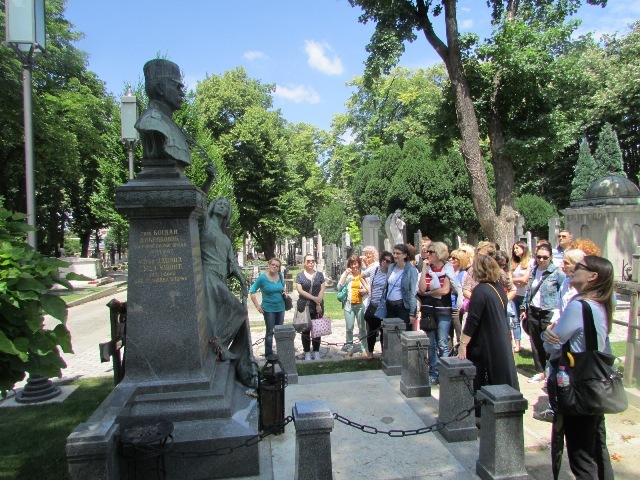 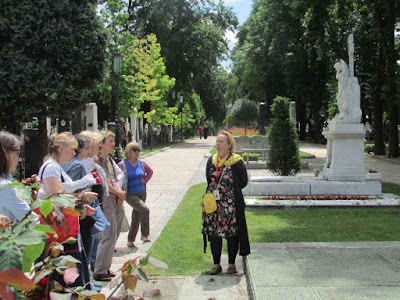 There were already two successful visits to the New Cemetery organized in November and now the third theme walk was organized within the cycle Cultural Heritage without Borders, which bonds material and intangible heritage, cultural history and traditions which was included into series of planned events within this year’s Week of Discovering European Cemeteries in Belgrade, Serbia. The inspiring guiding of Tamara Ognjevic an art historian and founder of ARTIS Center offered visitors the unforgettable experience of discovering the hidden beauties of the New Cemetery and of reviving memories on figures who have left an unforgettable trace in the rich and turbulent history of Belgrade contributing to its stratification, richness, diversity, cultural identity and the unique authentic spirit. 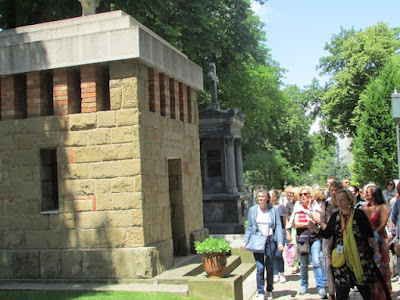 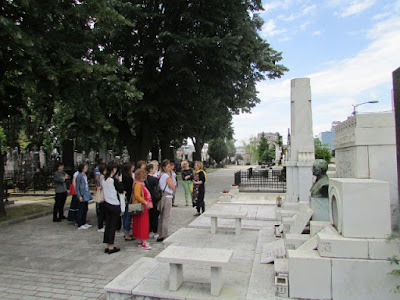 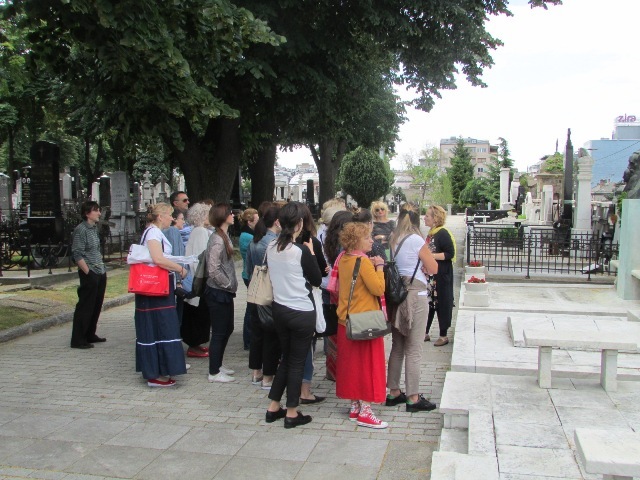 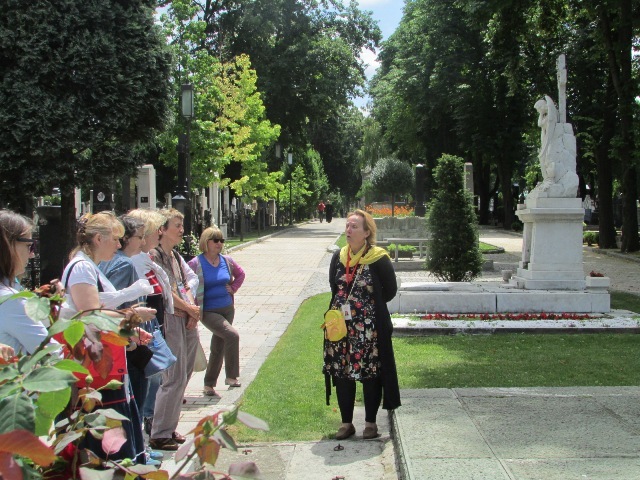 The New Cemetery in Belgrade would like to thank everyone for coming and sharing special time with our tour guides and lecturers making this year’s WDEC in Belgrade successful. 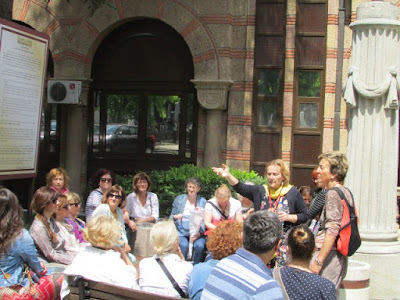 It was a great pleasure having everyone at our Open Air Museum!